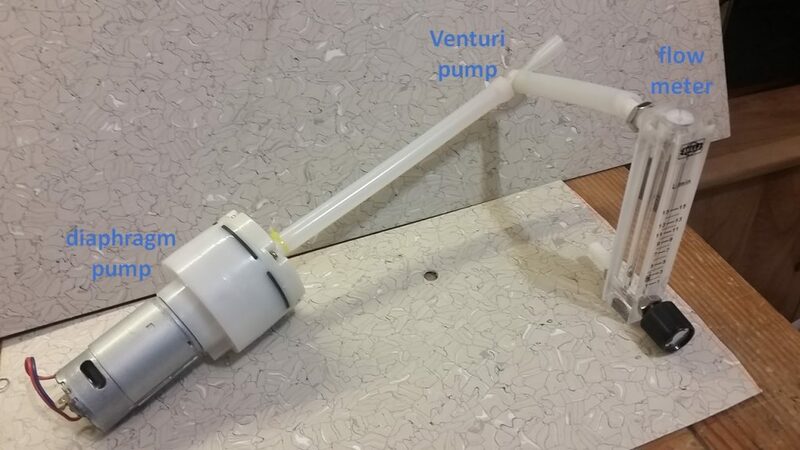 If for some reason you need to pump fine dust dust or a fluid (gas or liquid) without it flowing through the pump itself, Venturi is a great way to go. Two good examples are wood or fiberglass dust collection, as sucking these through the pump would result in gunk accumulating inside the diaphragm/fan and bearings and damage the operation of the pump. My motivation in making a Venturi pump originated from a PCB etching station I’m working on. It is filled a cupric chloride solution and upon heating, some chlorine gas is evaporated. The gas is quite nasty to breath, it is heavier than air and sinks below the window level, therefore does not evacuate without sufficient air flow through the room. 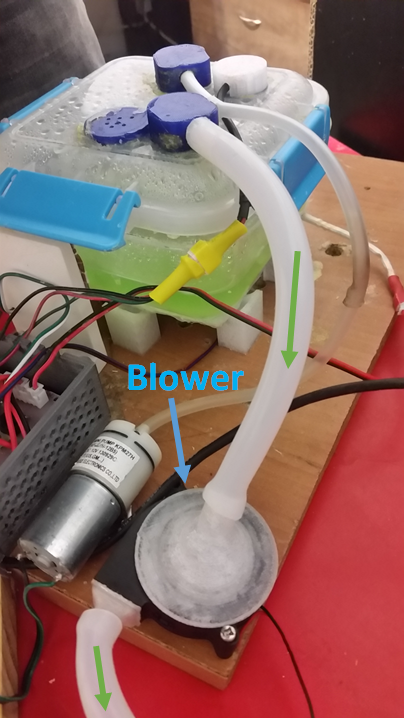 My initial solution was very naive, I was pumping the chlorine gas right through a generic PC blower and it did not last more than several hours of work. The chlorine gas condensed in the motor housing and corroded it to its death. Sadly, when I blew air through the device, the suction inlet was actually blowing the air out! I’ve tried several throat sized and configurations to no avail, they all suffered from the same phenomenon. one possible explanation is that the Bernoulli equation does not hold for compressible fluids such as air. 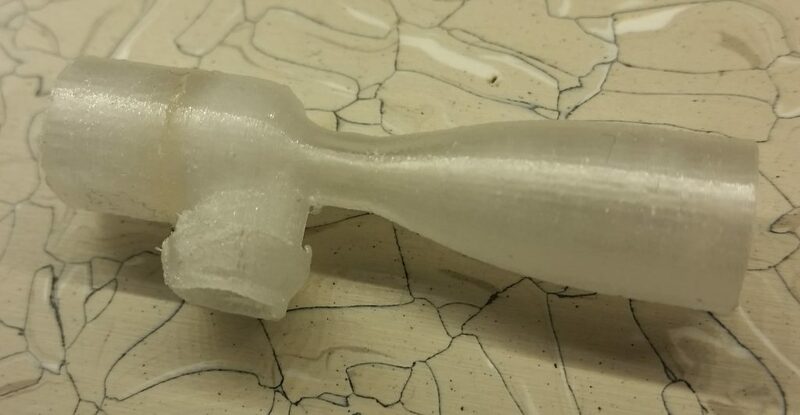 As I have never studied fluid mechanics, I can only guess why this design works well for airflow, and I think that the air exiting the the nozzle moves forward so fast that it does not curve into the vacuum port, thus not adding to its pressure, and at the same time, it pushes on the fluid in the expansion chamber, and creates a drag force sucking air through the vacuum port. and… SUCCESS!!! I was able to lift small pieces of paper with, and that made me unproportionally happy! But then I felt that sharing measurable numbers is a bit more informative than paper lifting, and decided to measure the static vacuum pressure and the unobstructed (no load) flow rate. 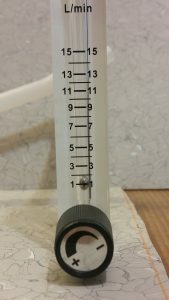 And measured the flow rate through the vacuum port to be almost 1.5 L/min. I have also measured the flow through the main channel of the venturi to be 10 L/min. 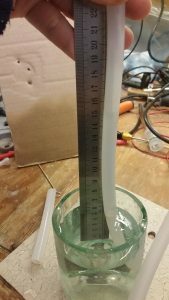 I proceeded with measuring the static vacuum pressure by immersing a hose from the suction port and into a water cup and measuring the water rise to be 9 cm, which correlates to 0.01 Bar. In conclusion, I can now safely exhaust any nasty chemical out without damaging the exhaust! In case anyone else is interested in making their own Venturi for whatever use, I am sharing my model in GrabCAD. 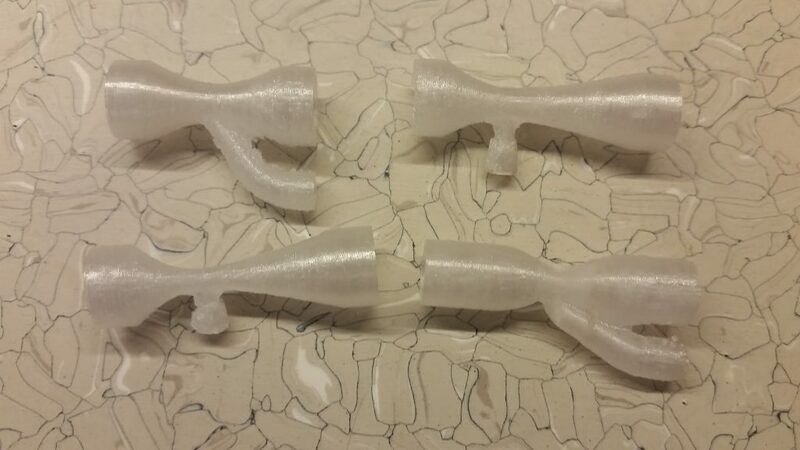 I am by no mean a specialist in fluid dynamics, and I am sure that my design is far from optimal, and I hope that this blog post will inspire someone who is more educated on the subject to make a superior design made ready for 3D printing for public use. Hi, a couple of things you might consider. 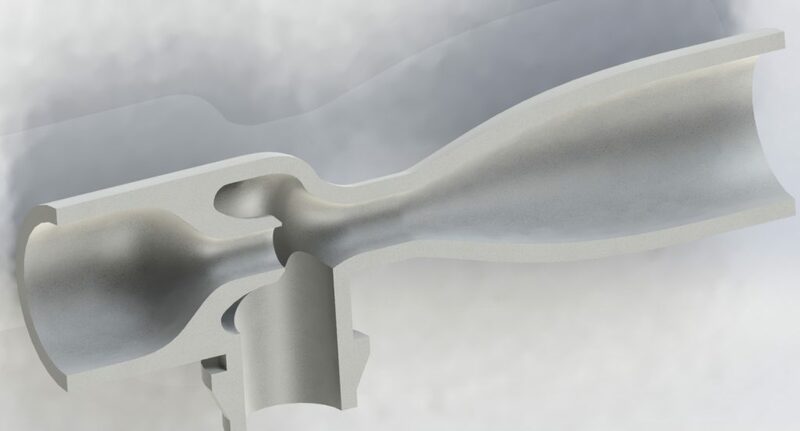 #1 max vacuum will occur at max airspeed, which is at smallest cross-section of the venturi – so put the suction inlet in the smallest part of the venturi, not before it. #2 vacuum is related to fluid speed (square-root of, I guess) so inlet air will have to flow very fast to get much vacuum pressure. All the best, nice project.